The game will have two modes of play, a "Survival" mode and an "Adventure" mode. Fight until the death to break high-scores and unlock achievements in survival mode. Or, in adventure mode you can play through a series of levels of increasing difficulty. In-between each level you will have a chance to customize your castle to your liking. Soldiers gain experience while fighting. Full game will have around 10 adventure levels of increasing difficulty. Online leader-boards (requires Game-Jolt or Steam account). 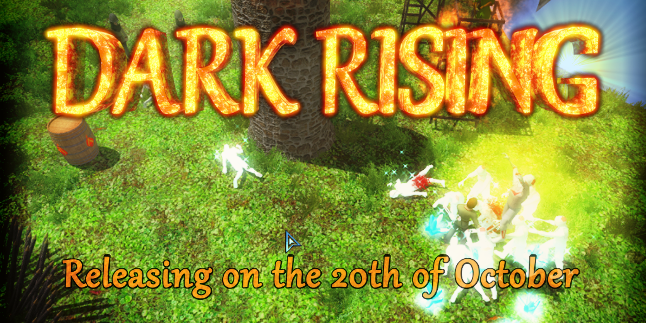 Dark Rising's release date will be pushed back from the 13th to the 20th of October. The reason behind this decision is to deliver a game that is as bug free and polished as possible. During the next week I'll be play testing to make sure all the current features are as smooth as possible. For those of you who don't know, Dark Rising is a tower defense game with real time strategy elements mixed in. You must defend your castle against each wave of increasingly difficult enemies. The choice of how to defend your castle is up to you. You could stick to the tried and true method of building towers and outposts around your castle. The weaker outposts are cheap and effective against a few feeble zombies. While towers are more adept at defeating enemies from a distance. 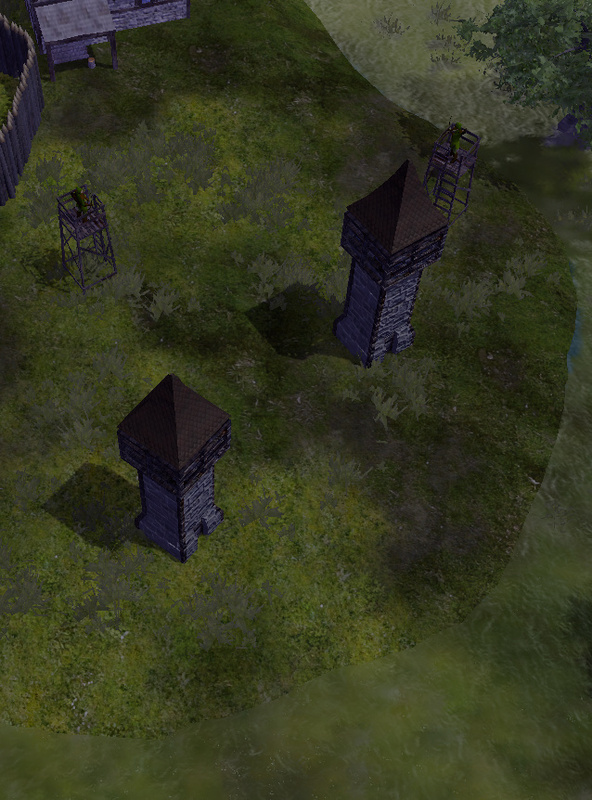 This extra range and attack comes at a price as towers are more expensive than outposts. Another form of an outpost is the catapult. A formidable defense, featuring great range and a deadly attack. 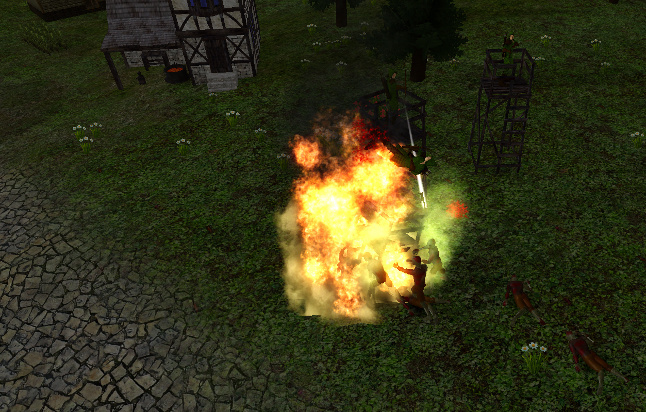 However, the catapult suffers from a slow rate of fire and a small angle of attack. Setup your catapults pointing in the right direction and out of harms way to maximize their benefits. If the enemy get too close, it's almost certain that the catapult will be lost. A humble villager who has stepped up and pledged alliance to defeating the zombie hoard. Pledges are simple folk who have very little experience fighting. This makes them vulnerable to attack. If sent into battle unarmed, there would be a massacre. Luckily, after building a blacksmith you are able to purchase various armor and weapons to help the pledge in battle. Not only does this make them effective warriors, but it also allows them to be versatile in any combat situation. 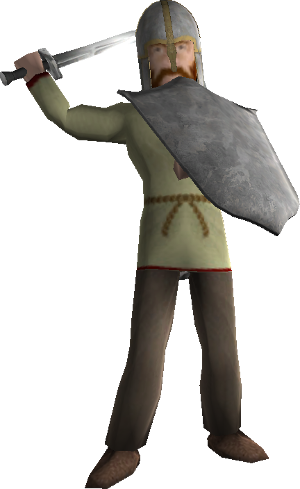 A pledge equipped with a sword and shield makes him a worthy foe for any zombie, but he will not be able to attack flying units such as Giant Ravens or Ghosts. 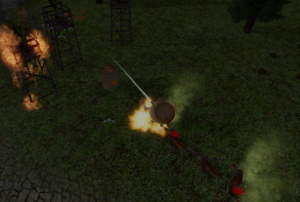 In that situation, you could equip your pledge with a crossbow and let him take down the enemy at range. Each weapon and armor combination provides a different sort of benefit and multiple combinations can be carried by a single pledge. The more weapons and armor that your pledges have, the better prepared they will be. This also makes them very expensive units and care should be taken. However, if a pledge dies on the battlefield not all is lost. His items will be dropped and another valiant pledge can pick them up. While towers provide a cost effective solution and pledges are versatile, traps allow for a more adventurous and unpredictable experience. Most traps have a chance to kill multiple enemies at once. This could be the difference between being overrun by a zombie hoard or winning the battle. However care must be taken to avoid a single wandering enemy from triggering an expensive trap. Traps come in many different shapes and sizes. 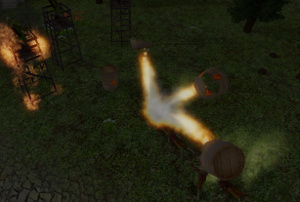 You have explosive traps such as the "Explosive Barrel" or "Spike Trap". These snares are triggered when a zombie or other critter walks into them. They have great potential of taking out multiple enemies and generally cost quite a large sum of gold. Next up you have elemental traps such as the "Fire Pit" and "Ice Crystals". 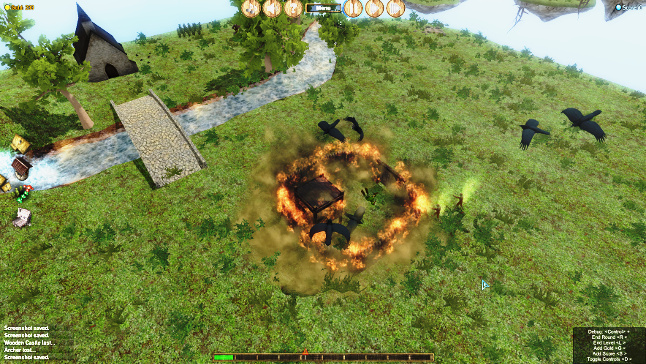 The fire pit provides a long lasting chip damage to any enemies who wander through it. While the ice crystals slow enemies down to a crawl. Be wary of the various enemies that you will face. 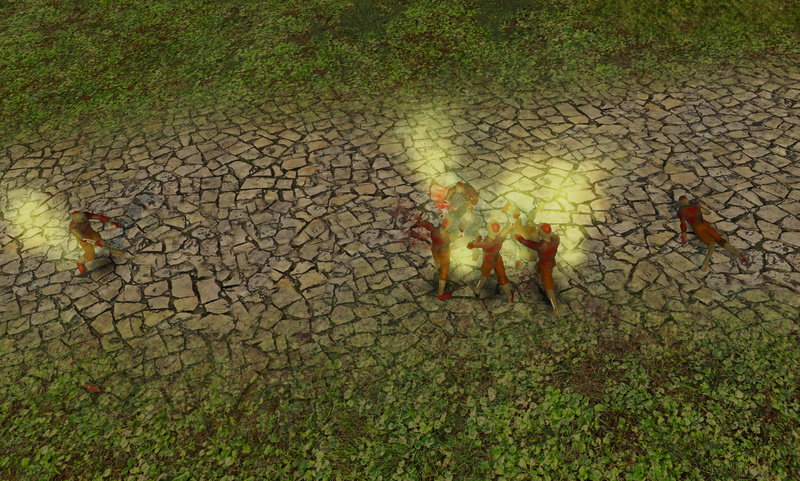 At first, simple zombies will be your only foe, but as time passes different threats will arise. Ghosts, spiders, sea monsters, giant ravens, and massive lava golems will all try to bring your castle crashing down. Each enemy has a weakness and a strength waiting to be discovered. Your chance of success depends on your ability to find these weaknesses and plan ahead to stop the ever increasing enemy hoard. See you guys on the 20th for some good old fashioned zombie killing. If you haven't already, please add Dark Rising to your "wishlist" or follow the game to keep up with all the updates.